We’re so excited you’re here and hope you like what we’ve done. 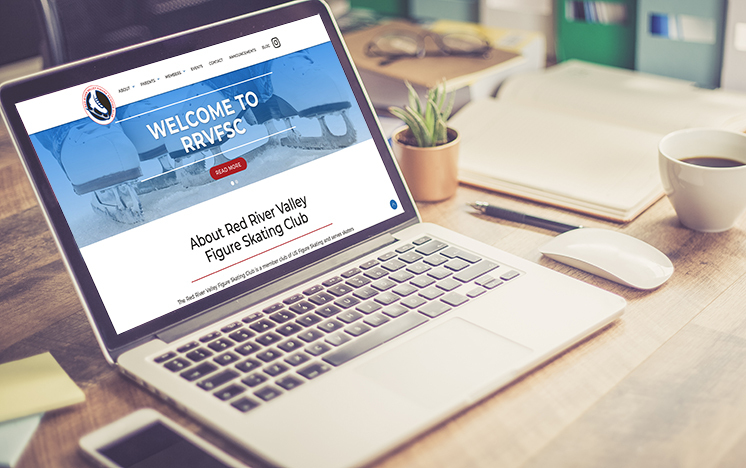 When Red River Valley Figure Skating Club Board President Jean Paseka and I (Board Member Tracy Jensen) started talking about a redesign of the RRVFSC website last year, Jean tried to recall when the website was first designed. Her guess was around 2000 - the same year some of this year’s senior skaters were born. While the old site served us well for years, the new website, like our seniors, has matured and is ready for the future. We listened to your suggestions about site improvements and with the help of Mike Brevik from Cyberdogz Marketing Solutions, we’ve come up with a streamlined site that is not only flashier to look at but, more importantly, easier to navigate. Our goal is for the site to serve parents, skaters and the organization as a whole more effectively than ever before. Look around a bit. We think you’ll find the navigation very intuitive. If you have questions or suggestions, feel free to email me at tracybriggsjensen@gmail.com. As I do so well, I’ll send a probably incomprehensible email to Mike at Cyberdogz and he’ll work his magic or die trying. (Thanks for your patience and hard work Mike. I’m thinking I need to snag you a trophy from The Classic as a reward for putting up with my incessant questions). As we did with the old website, this new site will be used as the “go-to” place for updates, announcements and overall club information. Jean is still on top of her game providing us with all the details we need to know. (Come to think of it, I think I’ll snag a trophy for her too). While the site is the place to sign up for memberships, ice time, learn to skate, competitions, seminars and more, it will also help you find the places to go to learn more about United States Figure Skating Associations news and information, including Safe Sport requirements. One of the most exciting parts of the new website is RRVFSC getting social. We’ve started an official Instagram account @therrvfsc. So when skaters and parents post photos on Instagram, don’t forget to tag us at @therrvfsc. It’s so fun to see that some of you are already doing that. When you tag our account, those photos can then be seen on the Instagram feed on our website. So our website will be full of images of the best skaters in the region! #RRVFSCRocks! Again, we hope you enjoy the site and feel comfortable learning the ropes with it. We know, change is hard. But we sincerely hope, we’ve made navigation easier than ever before. Should you experience any problems, let us know. And please help us spread the word about the changes. Thanks and let’s have a great skating season!